This is a Kettle bell pass through, plus twist. This is a huge move and pretty tough if you are not used to using kettle bells. Start in a squat position and pass the bell under your leg and around, you are going to have to use some big force to get it back up high enough so it is level. You want to “high five” the bottom of the bell; Keeping it level as you twist. I’m using a 30 pound bell here. I did this for 5 rounds of 30 seconds. It’s crazy. I don’t think it ‘looks’ nearly as hard as it is. I was sweating filming clips! even strangers when they make healthy meal choices. Personal choices should be Personal choices, yet for some reason it seems to be OK to freely comment on a fit person’s food. It would be considered rude behavior to tell Cousin Joe that he should dial it back on the pie since he could lose a few pounds. In the real world, I don’t have hardship with my food choices. In the family setting.. sheesh. It’s very frustrating to feel the need to explain, time and time again that you are making better choices because you want to take care of your body. certain foods and issues. We began by removing meat (red meat and poultry) from our diet to see if things got better. That first holiday, you’d think we’d set out to ruin Christmas. Some relatives were so bold as to ‘sneak’ bacon into our veg dishes out of spite. Our continuing journey to remove processed food (fast food) and sugar from our meals were equally as frustrating to some of our family. Their attitudes felt very vindictive and there was a lot of guilting associated with it. Thankfully, after a few years, it became less of a problem at the holidays. We have learned a lot especially from our own mistakes. With our flexible dieting (#iifym) meal plan now, we are able to make positive choices without someone losing their mind. Fortunately, by now, everyone is used to dealing with my crazy food needs. If you are worried about this season and how you can stay on your program while celebrating, here’s some food for thought. 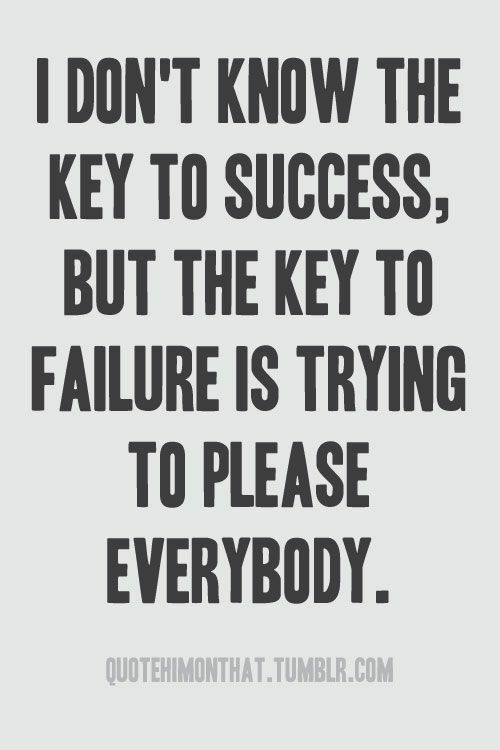 You do not have to please everyone! It’s ok to have goals. When you are focused on the goal you have in front of you, you don’t ‘have’ to please anyone but yourself. You are not required by any laws, enforceable, made up or otherwise to ‘eat’ what someone else has prepared. You do not have to qualify, explain or feel ashamed because of your choices. Think about these scenarios.. IF you were diagnosed with Type II Diabetes and your family, friends knew, what do you think they would do? They would bring foods to accommodate your dietary needs. I’ll bet you have someone in your family who is in charge of the sugar free pies. We have that. There’s plenty of diet soda too. Right next to the Full-on Cool Whip is the sugar free! What if you had a peanut or gluten allergy? Your family and friends would be very helpful in making sure you weren’t having foods that contained those items. points a finger back to others. It seems ‘judgey’ when it’s not. Being sick you ‘can’t help’. So, what can you do to make this holiday season go smoothly? I will include the traditional Good Housekeeping holiday tips from December 1972 as well. 1. Eat before you go to your event. 2. Fill up on water. 3. Knaw on celery or cut veggies before dinner. 4. No picking, snacking in the kitch or tasting at the stove. Now.. these are the real survival tips…Here are some things that we have learned some of these the hard way. I used to stress. I will not do this anymore! Remember: if you are doing IIFYM you can do intuitive eating. You know what you can have and what is too much. It’s OK to take the day and enjoy your family and friends. Flexible dieting is FLEXIBLE. 1. Bring a few bonus dishes that fit your meal plan and that everyone can enjoy. Thank you PINTEREST!! Your hostess will be grateful for the extra deliciousness. I like to ask if they have a genre of food they’d like me to bring. Then I bring two extra things as well. Dessert is my thing. I like having something that I know fits my macros. 2. Shhhhh…don’t talk about it. The less I discuss my meal needs, the less anyone notices or cares. 3. Drink clear liquids like club soda with lime. No one needs to know if you are partying or faux drinking. Frankly, on occasion, I’ve brought my own secret container of sugar free cherry syrup to drizzle in my club soda. I like to live on the edge. Oh and by the way, that plain tall glass of ice water is like a target on your back. Blend in. It has been my experience, that people don’t like it if you aren’t partying. You’ll be fine, you’re totally fun anyway. They won’t notice. 4. If someone asks you about your meal plan, respond quickly, politely and then ask the something interesting about themselves. “Oh, Aunt Sally, your Ramen Noodle salad looks yummy. There is so much great food here. I’m so full! Now tell me about all your Corgi’s. Do you still have 11 of them?” People love to talk about themselves so you can deflect like Wonder Woman’s bracelets. 5. Don’t try to convert the masses or be a hero at the dinner table. If someone tries to engage you on your meal plan, I say, laugh it off. “Oh, Aunt Audrey, thank you for asking but it’s just such a boring topic. I’d rather hear about Uncle Bucky’s new hip.” See how I deflect? 6. Left overs are not mandatory. If possible, pass them by. If you can’t escape, you can do the unthinkable and not bring them home. Of course if you can get the turkey, then your muscles will thank you. How do you handle events and stay on your meal plan?? This is a treadmill workout that really hits the glutes hard. end of my heart rate zone. I do side stepping for 30-60 seconds. Facing backwards, stay low in your chair. We say “booty in the back seat, chest on the dashboard”. As you walk backwards press through the heel! This is a good reason to do this slow. Fast.. no way. In the front position I do a lunge plus back leg lift. Of course, you must exercise caution when doing this workout. This is my favorite HIIT workout for my gluts. I combine low intensity work with glut centric high intensity workout. I start out slow and steady because I am working on proper form. If you chose to go really fast on the single leg step ups, be mindful of your form and execute safely. I hope your playlist rocks!